My name is Kaylee and I love horses because well I have six and I love them more than anything in the world I would die for any horse in the world. I started out with at least 13 and then my mom sold a lot of them and then we only had about 8 I had a favorite horse, her name was carrot she was my best friend in the whole wide world. When she got older we discovered that she had been deaf and that she was basically blind in her left eye. One day when I was about 4 or 5 I went somewhere with my dad and my mom stayed home and when we got back there was a freshly dug up hole in the pasture and my mom was crying and said that carrot had fell down a slightly tilted hill in our pasture and could not get up so she had to call the vet to put her down. 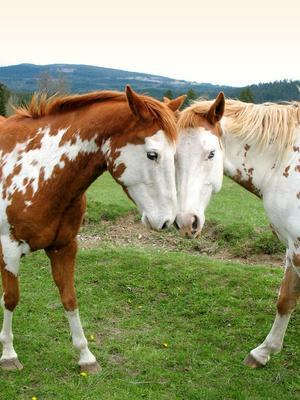 From that day on I've always loved horses and whenever I see a horse I see my best and most truest friend carrot. You don't know what you got until it's gone, i have done it before.